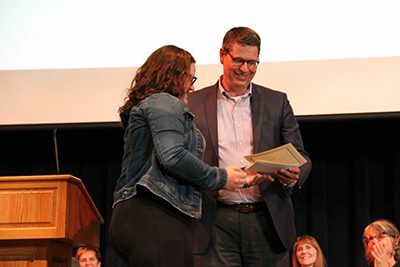 Congratulations to all of the Upper School students who received honors and awards at the 2018 Upper School Awards Assembly! On Friday, June 1, the school gathered to commemorate all of these students’ achievements. Academic, National Merit, Scholarship, Yearbook, Choir, Band, Orchestra, Visual Art, Math, English, Science, Social Studies, Forensics, French, Spanish, Drama, Athletics, Service, Spirit of ’86, Junior Mission Statement, Certificate of Distinction, and Alumni Association awards were given. Please join us in congratulating the following students! View photos of the assembly or watch the assembly here!